Chorionic gonadotropin (HCG 2000IU) is synthesized from the urine of pregnant women. Menopausal – from the urine of women who are in the postmenopausal period. Both combine the properties of luteinizing (LH) and follicle-stimulating hormones (FSH). But the chorionic imitates LH more, and menopausal – FSH. In traditional medicine, both types of this medicine are used for various sexual disorders, both in men and women. Women gonadotropin helps with various problems with pregnancy and ovulation. In strength sports, chorionic gonadotropin is especially popular. Menopausal is used much less frequently. Basically, when there are problems associated with spermatogenesis after the termination of the steroid course and PCT (post course therapy). In particular, menopausal gonadotropin can be considered a last resort in the event of serious consequences associated with the use of progestins (nandrolone, trenbolone, oxymetholone). You can buy HCG at a pharmacy without a prescription in the form of injections for subcutaneous or intramuscular administration. The drug must be diluted inside the ampoule with a special liquid that is attached to the drug. 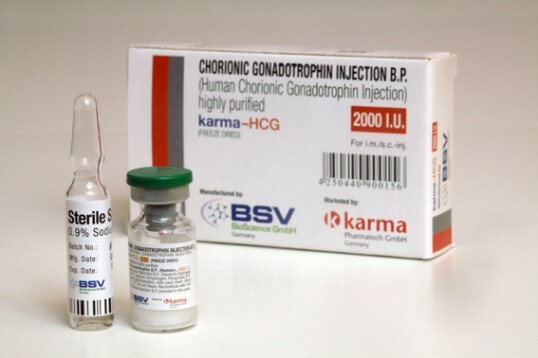 It is necessary to inject chorionic gonadotropin intramuscularly, the drug is quickly absorbed. Duration of action is 5-6 days. If the duration of the course of taking anabolic steroids is less than 5-6 weeks, it is not necessary to use HCG. In the case of longer use of the AU or the use of steroids in large doses, you should take chorionic gonadotropin 2 times a week in the amount of 250-500 IU. If during the severe course HCG has not been used, it is recommended to include it in the post-course therapy. PCT uses dosages of 2000 IU of the drug. Injections do every other day for 3 weeks. For athletes, professionals who are almost continuously using anabolic steroids, it is recommended to include the drug on a permanent basis. After 5 weeks of use, the drug is taken for 1-2 weeks.